I don't think I have ever been so excited about a makeup sponge prior to being introduced to the Beauty Blender. I received one of these fascinating pink sponges in a Birchbox last year, and I have been obsessed with this highly raved about tool ever since. 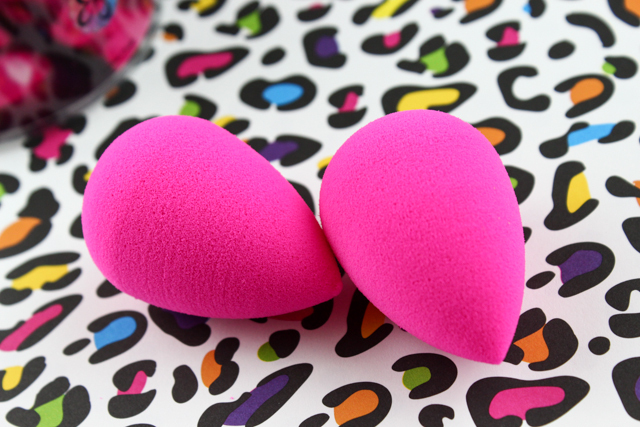 The Beauty Blender is not your ordinary makeup sponge. It's latex-free, hypoallergenic, and can last up to 4 months, meaning you don't have to dispose of it right away since it can be used multiple times. 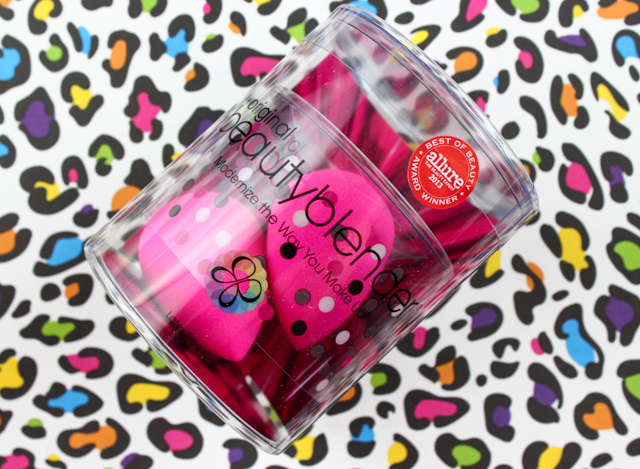 The Beauty Blender is an amazing tool to use for the application and blending of liquid, cream, and powder products. If I want a seamless and flawless result out of my foundations and setting powders, I can always trust on the Beauty Blender not to disappoint. The tear drop shape of the sponge is a very handy feature that works for all areas of the face. The pointed end fits comfortably on smaller spaces that require precise blending like under the eyes, and sides of the nose. And the wider rounded end beautifully blends out product on all other areas of the face. I do like to abide by a couple of useful tips when it comes to the Beauty Blender. The first one is dampening the sponge before use. By doing so, I find that the sponge absorbs less product, becomes less stiff, and is easier to work with. The next tip is to apply and blend out product in a pouncing motion, as opposed to swiping. When you pounce the product onto your face with the Beauty Blender you get an even, smooth coverage, and a natural looking finish. When it comes to cleansing the Beauty Blender, shampoo gets the job done in a pinch. The Beauty Blender is susceptible to staining though, so don't sweat if you can't get certain spots super clean. I know shelling out almost $20 for a makeup sponge seems a little outrageous-I know, I hear ya! There are much more affordable dupes out there like the Real Techniques Miracle Complexion Sponge; and although I do like it, I can't help but always go back to the Beauty Blender. I feel like the Beauty Blender is not only lighter and more flexible, it also blends out product with less effort. There is no denying that the Beauty Blender is an all-around great makeup sponge. It's a huge staple in my routine, and the popularity it has garnered is very well deserved. What do you all think of the Beauty Blender? Which are your favorite makeup sponges?